Ever hear of a Grand Solar Minimum? Could climate change and radical season shifts be sooner than we think? 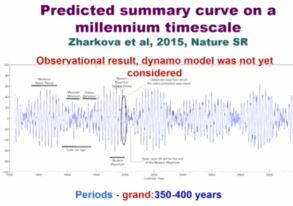 Professor Valentina Zharkova gives an interesting presentation of her Climate and the Solar Magnetic Field hypothesis. NMN, Resveretrol & Sirtuins – Reversing Aging with David Sinclair’s Pill?